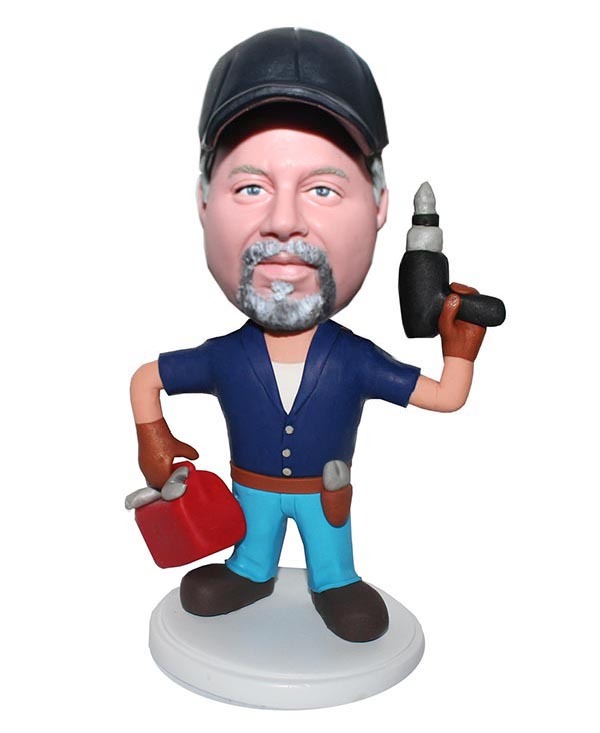 Custom Boblehead Repairman ，Electrodrill in his left hand, tool box in his right hand and a tool belt around his waist,this custom male bobblehead doll is a Repair and maintenance worker wearing blue jeans and a shirt with gloves. This customized bobblehead is a best gift to show one's appreciation for the workers who devote themselves to their career with their heart and patience. Doll occupational workers.